and many other online sellers of GLBT fiction. While John knows the doctor is right, he just can't resign from the job he's fought so hard for. 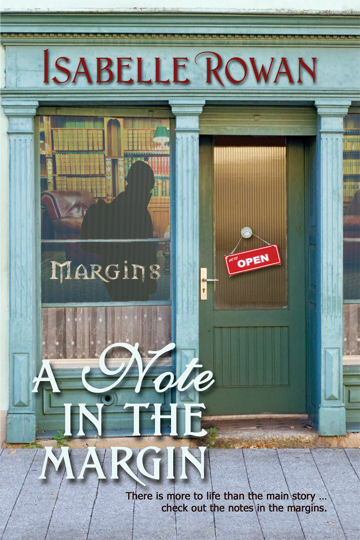 He decides the sacrifice of taking a year's leave of absence won't interfere too much with his plans, and so he finds himself running Margins, a cozy little bookstore, with the help of the former owner's son, Jamie. John expects to put in his year, get his stress under control, and then get back to business. What John doesn't expect is how Margins and its denizens draw him in, particularly the quiet, disheveled man who takes refuge in the old leather chair in the second-hand book section. John's plans for an unattached year of simple business crumble when he meets David and is forced to reevaluate life, love and what he really wants from both. John and David are forced to come to terms with their pasts as they struggle to determine what possible future they might build together. * Follow their story in the novella Twelve Days.